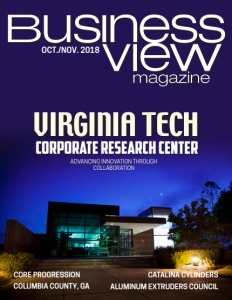 Business View Magazine interviews representatives from Cameron Manufacturing & Design, Inc., as part of our focus on the metal fabrications industry. 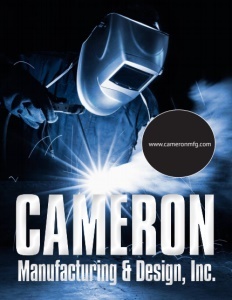 Cameron Manufacturing & Design, Inc. (CMD) of Horseheads, New York, manufactures and supplies metal fabrications and custom machinery in various areas, including glass forming equipment, optical fiber processing equipment, and material handling apparatus with robotics and conveyors. 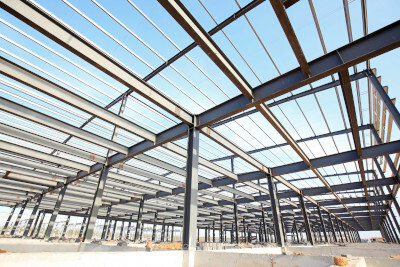 The company also provides specialty fabrication services, which include rolling, bending, punching, welding, and surface preparation services; precision and production machining; precision laser cutting; refurbishing and upgrading services; machine shop services; prototypes and heavy fabrication services; mechanical, chemical, and electrical controls design; and engineering services. When LaViola founded Cameron Fabricating with fewer than 10 employees, it was a fabricating and welding business that also did some installation, and served mainly the food industry. It had little machining capability, an area that has been among its biggest growth areas in the past 10 years. When he retired in 2007, he sold the company to the employees and the management of the privately held firm was able to offer its workers an employee stock ownership plan (ESOP). In the ESOP, the company awards shares of stock once a year to its employees. The price of the shares is based on the value of the company at the end of each fiscal year. The shares are awarded based on employees’ earnings and years of service. Today, Cameron Manufacturing & Design has 250 employees who operate out of a 125,000-sq.-ft. complex in the heart of the southern tier region of upstate New York that houses a state-of-the-art machine shop, three separate welding and fabrication departments, an in-house engineering division, a project management group, and the company’s management and administrative teams. The company also maintains an additional 27,000-sq.-ft, offsite facility. “Our core business is in the melting area – glass, carbon fiber, and other melting scenarios,” says Matt Sharpe, Director of Sales & Human Resources. “We have also branched out into other areas – transit and rail. 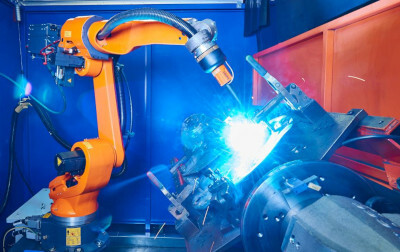 We’re currently going into specialty fasteners with our in-house machine shop, and we have some new technologies in renewable energy – solar, wind, and lithium ion batteries.” In fact, most recently, Cameron partnered with Skyven Technologies, a solar power technology firm from Dallas, Texas, to produce its “Intelligent Mirror Array,” one of the world’s first solar solutions for industrial steam. The first order of panels has been completed for a company called The Radiant Store, based in Troy, New York, to install the system at Copses Farms, in Valley Falls, New York. Check out this handpicked feature on Compass Forwarding – Charting a Course for Clients. WHO: Cameron Manufacturing & Design, Inc.
Nivert Metal Supply, Inc. – A family-owned metals service center, Nivert Metal Supply was originally founded as a scrap metal business by Albert Nivert in Scranton, Pennsylvania, in 1936. Albert’s brother, Harry, soon joined him in the business, and after returning from service in World War II, began purchasing government surplus metal to sell to local construction companies. In time, Harry established Nivert Metal Supply to serve the metal needs of the northeastern Pennsylvania market.